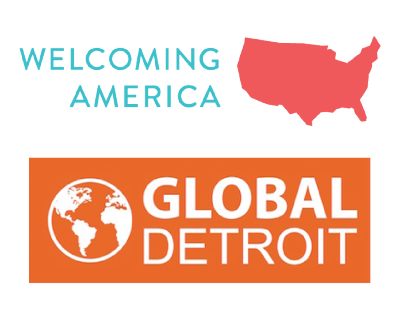 The Welcoming Economies (WE) Global Network is a regional Network of immigrant economic development organizations working in cities and regions across the Midwest. The Network is designed to strengthen the work, maximize the impact, and sustain the efforts of individual local initiatives across the region that welcome, retain, and empower immigrant communities as valued contributors to local economies. The Network, a project of Welcoming America in partnership with Global Detroit, is comprised of over a dozen regional economic development initiatives from across the Midwest working to tap into the economic development opportunities created by immigrants. Members of the Network benefit from peer-to-peer learning exchanges, increased publicity, policy and research tools developed for immigrant economic development organizations, access to technical assistance, and other capacity building resources. The WE Global Network invites governments, nonprofits, and economic development organizations that welcome, retain, and empower immigrant communities in the 10-state region to join the Network. The WE Global Network has three membership categories. To learn more about membership options and how to apply, visit Join the Network.